At the Gwesty Carreg Bran Hotel, Sunday is one of the best times of the week. It's the time of the week when all of the family get together and tuck into a much loved British classic. It doesn't matter where you come from or who you are, Sunday lunch at the Carreg Bran Hotel will be the best ending to anybody's week. Whether it's the succulent Welsh Beef you are looking forward to, or one of our delightfull home-made desserts that you can't wait to try, we can guarentee that you won't be dissapointed with whatever you choose from our fresh menu. To view our menu just pop over to our facebook page where it will be posted on a weekly basis. Dine in our beautifully designed and decorated restaurant or snug area with a fully stocked bar to quench your thirst. There is plenty of room for all of the family, and why not sit back and relax after eating and have a drink or two outside on our lovely patio area located at the front of the hotel. There are also Vegan and Vegetaian options available every Sunday, all you need to do is ask one of our lovely staff members what is on offer and they will be able to cater for your needs. 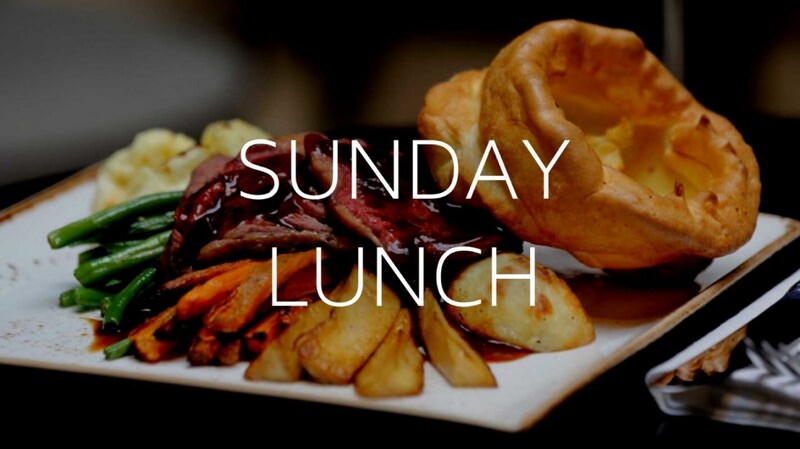 Sunday's can get busy at the Gwesty Carreg Bran Hotel, so we do reccomend booking your table to secure your place in our restaurant, therefore to do that, please call us on 01248 511 577 and press option 3 for our restaurant bookings, or click here to send us an email. You can also check our facebook page for regular updates, also you can message us through facebook for any questions you need answering. We greatly look forward to seeing you and welcoming you to our hotel, and making your Sunday one to remember.